You will often read in philosophical or religious texts that a person should be happy with their lot, instead of always aiming for more. Epicurus adds a twist. 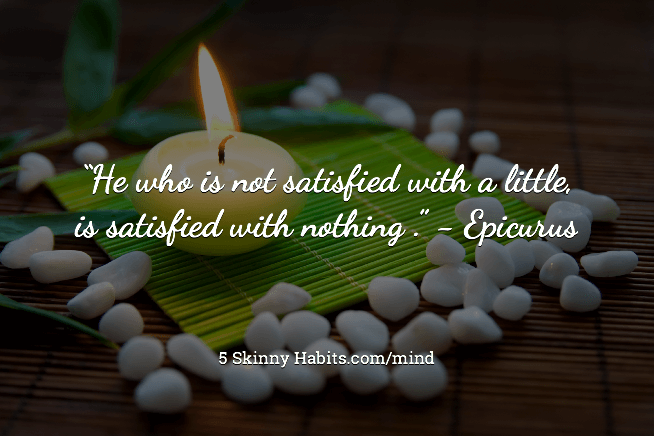 If you are not satisfied with a little, you will never be satisfied, even if you have a lot. This is because there is always the possibility of more! You are constantly living in the future and obsessing about what you should have, instead of enjoying what you actually do have.